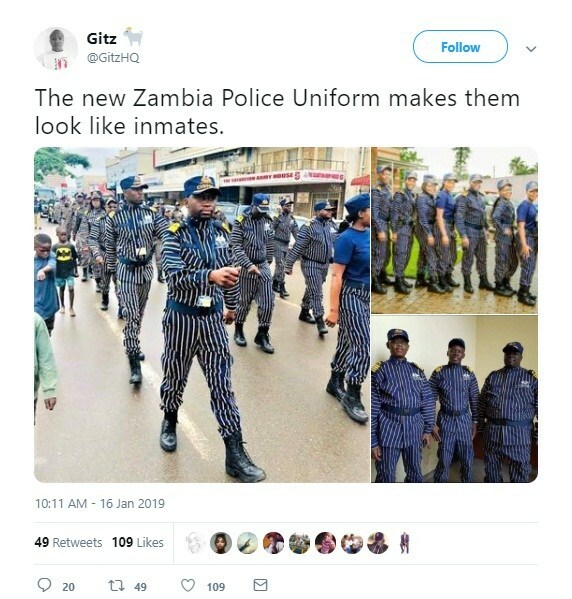 I do not understand why African leaders are bereaved of ideal ideas biko nu. 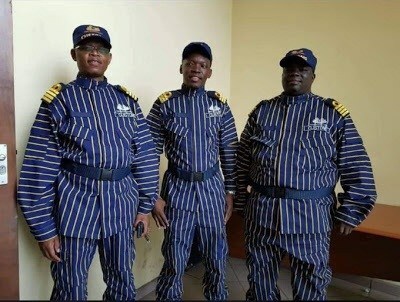 The new uniform for Zambia’s Customs officers has sparked a mixture of outrage and laughter on social media. 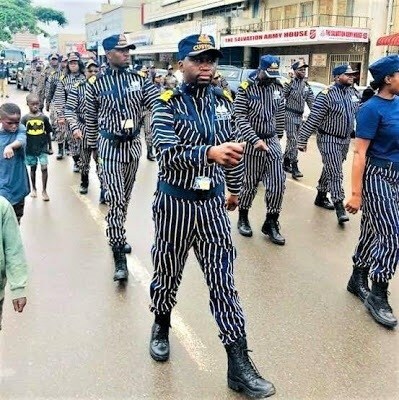 The uniform outrightly looks like a pyjamas. 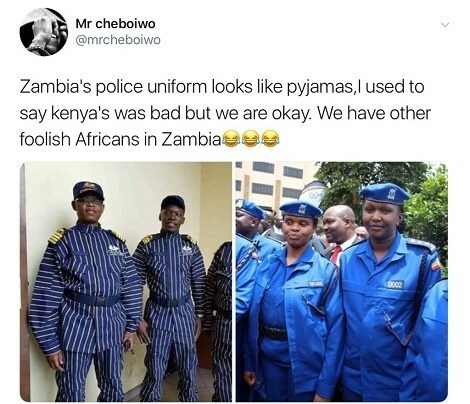 The stripped blue uniform which was unveiled this week has left many Zambians ashamed of their country. Many Africans, especially Zambians, are criticising the uniform and social media is filled with all kinds of comments ranging from downright anger to total laughter. 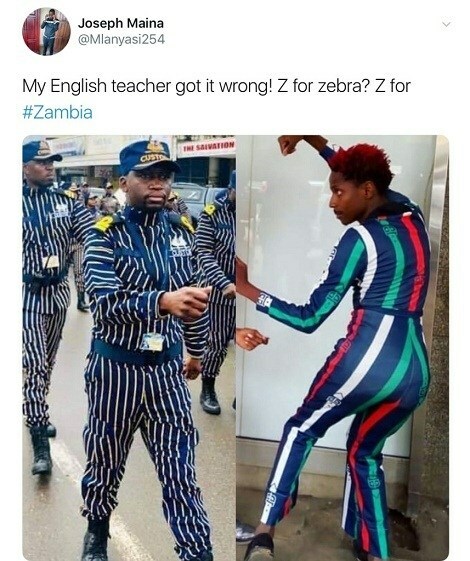 I ask again, who cursed Africa?